 MedBest Recruiters bring years of extensive experience and excellence in the Senior Living Industry. That’s why we understand that one type of recruiting package or service does not fit all. Our variety of recruiting packages and services allow for flexibility. You can select how your organization needs us the most. MedBest Premium Package includes our 25-Step program along with the DISC Assessment, the Dominance, Influence, Steadiness, and Compliance science-based assessment process that captures an executive candidate’s motivators, behaviors, and competencies. Also, find out about their executive leadership style, soft skills, and motivators. Job matching is one of the most important services that our team of Senior Living Executive Recruiters can offer. With our 25-step executive healthcare recruiting process, you can be assured that the right people are matched with the right positions. Steps include Research to identify the rising stars in the Senior Living Care Industry, Recruiting and Qualifying to ensure thorough vetting, and Securing and Retaining Talent that focuses on long term success. We are not a fill and fly executive recruiting firm. Culture fitting is a priority at MedBest. As Senior Care Executive Recruiters, we go beyond what’s on the resume. We acquire job candidates who fit your organizational culture and are a great addition to your team. Meshing well and working together creates success. Succession planning identifies and develops people within your organization that have the potential to transition to mission critical roles as they become available. MedBest’s succession planning services ensure that the transitioning of executive leadership is smooth and seamless. Specialty areas include Market Analysis, Communication Plan, Interim CEO Leadership, if needed, and Permanent Placement of a CEO that has passed rigorous leadership screening tests and assessments. At times, temporary help is needed to fill key management and executive positions. MedBest specializes in filling interim positions with qualified healthcare professionals. We have one of the quickest and most successful fill rates for Nursing Home Administrators, Director of Nursing Services and MDS Coordinators. At MedBest, our former senior living executives acquire and recruit highly sought-after executives in the senior living/senior care industry. Most of our executive candidates are passive candidates who are currently employed and not in need of a job but instead seek a more fulfilling career. We conduct a 25-step process to ensure our clients attain the best possible fit for their position. Acquiring a C-suite level executives within the long term senior living industry is unique. We know because we are a company of former senior living/senior care executives placing senior living executives. We carefully identify skills, qualifications and personality traits to ensure a perfect match. Some of our C-suite level executive placements include CEO, CFO, COO, CIO, CCO, Senior VP, VP of Human Resources and VP of Sales and Marketing.